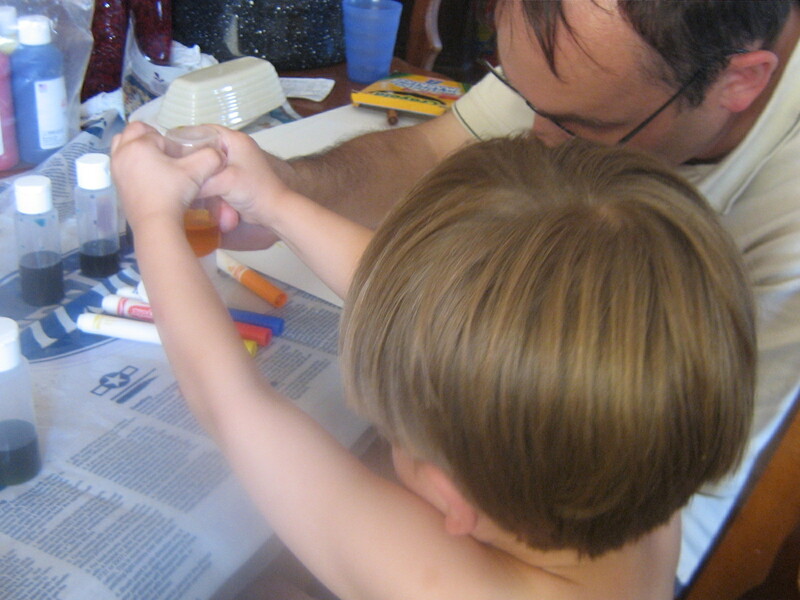 When we first decided to homeschool Dean said that he would teach something to the boys on Saturdays. We have been discussing our vision for why we are homeschooling and what we want homeschooling to look like in our home. 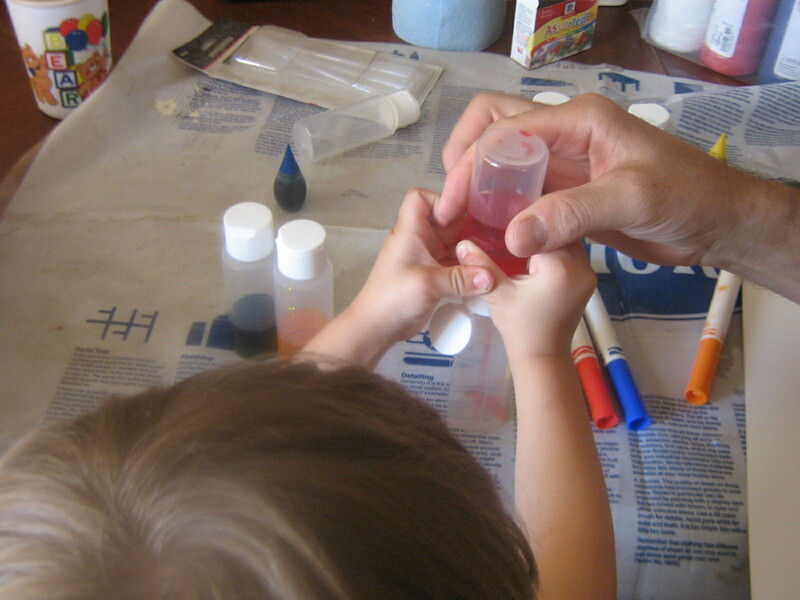 A couple of weeks ago Dean decided he would like to do science and art activities with the boys. And so it began…. The first lesson was about primary colors and secondary colors. Besides introducing a new concept it also reinforced colors which Calvin has a hard time remembering. and yellow to make orange! 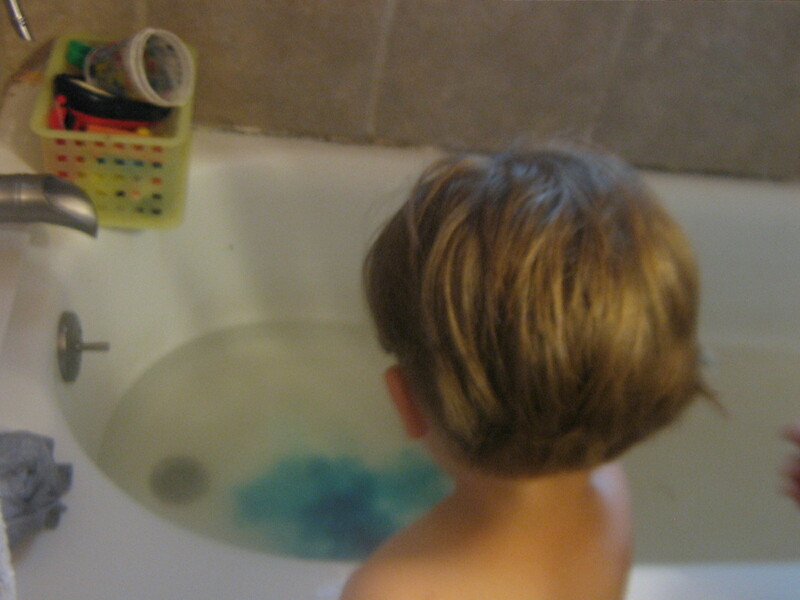 When bath time was done Calvin poured in the blue colored water, followed by the yellow colored water to make green water. He loves green, so this was all very exciting to him.